Today and every day, thanks for being a Levitteer! On this day of gratitude, we’re especially thankful to the 16 communities who brought the Levitt program to life in 2015 – a testament to the power of free, live music to bring people together and celebrate our shared humanity. This entry was posted in Holidays and tagged Thanksgiving on November 26, 2015 by Katie Huang. As a fourth generation Angeleno, Los Angeles Mayor Eric Garcetti has seen his hometown go through countless changes—including the transformation of MacArthur Park, home to Levitt Pavilion Los Angeles, in recent years. 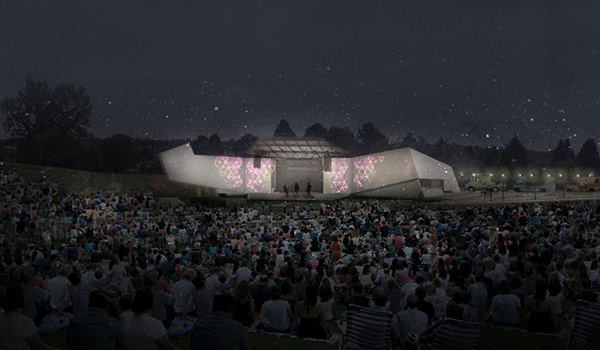 The impact of a Levitt Pavilion goes far beyond free, live music. Garcetti explains how the City of Los Angeles started to tend MacArthur Park better after seeing the renewed energy and activation occurring in the park. To hear more about MacArthur Park’s transformation from an underused space into a vibrant community asset, check out Mayor Garcetti’s Faces of Levitt video! This entry was posted in Faces of Levitt and tagged Levitt Pavilion Los Angeles, Mayor Eric Garcetti on November 23, 2015 by Nicole McGaffey. 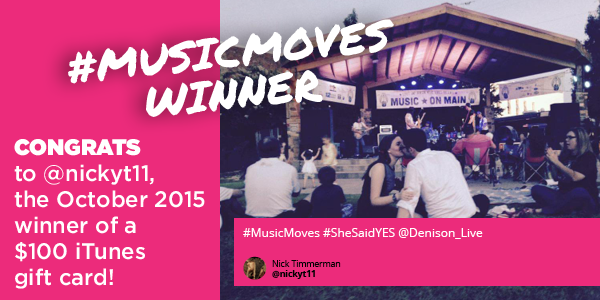 Check out our final 2015 #musicmoves winner and highlights video! 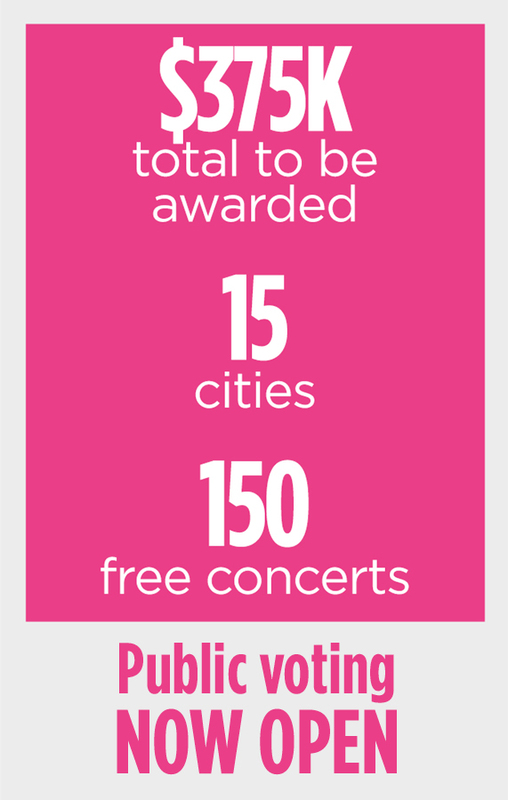 The 2015 Levitt concert season has finally come to a close, which means that our first-ever #musicmoves campaign has reached its end! A hearty congrats to our fifth and final $100 iTunes gift card winner, Nick Timmerman from Denison, Texas, who posted this sweet photo of him and his fiancée celebrating their new engagement at the Levitt AMP Denison Music Series. Thanks for sharing your special night with us, and best wishes to you both as you enter this new and exciting chapter! And thanks to all the Levitteers across the country who’ve reminded us just how many ways #musicmoves Levitt audiences—from picnicking, to singing, to dancing on the lawn. We’ve had so much fun seeing all the ways the power of free, live music moves you and your communities, we thought we’d share the joy—check out this video featuring some of our favorite submissions! If you didn’t get a chance to enjoy the way music moved our 2015 #musicmoves winners, take a peek at the slide show below. Keep moving, and we’ll see you next season! This entry was posted in #musicmoves on November 16, 2015 by Nicole McGaffey. 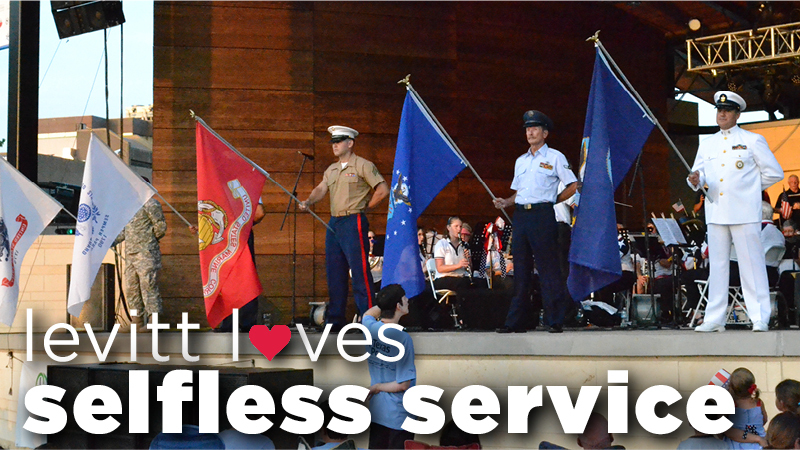 Today we honor the service and sacrifice of the men and women who’ve proudly donned a United States uniform. Thank you for your courage and commitment to defending the freedoms that we all hold so dear. Veterans, we thank you for your selfless service—on this day, and all the rest. This entry was posted in Holidays, Levitt Loves and tagged Veterans Day on November 11, 2015 by Nicole McGaffey. A Look Back at Levitt AMP 2015 and Announcing 15 Winners To Be Chosen for 2016! What a difference a year can make! During the past year we’ve watched 10 Levitt AMP sites come to life—transforming underused public spaces into vibrant, music-filled community hubs. With the inaugural Levitt AMP Music Series coming to a close this week, we’re celebrating some of the many ways this free, community-driven outdoor music series has impacted the 2015 Levitt AMP grantees’ hometowns. Although the first Levitt AMP chapter is about to conclude, the next is already underway! The application period for the 2016 Levitt AMP [Your City] Grant Awards has just ended and the applicant pool has nearly doubled from 2015. Which brings us to some fantastic news! Recognizing our nation’s growing need to come together as communities, we’re thrilled to announce that we’ve expanded Levitt AMP to 15 grants to be awarded across the country in 2016! That’s right, 15! This entry was posted in Levitt in America, News, The Levitt Effect on November 2, 2015 by Nicole McGaffey.